Professional organisations often rely on volunteers, and the PMI UK Chapter is no different. 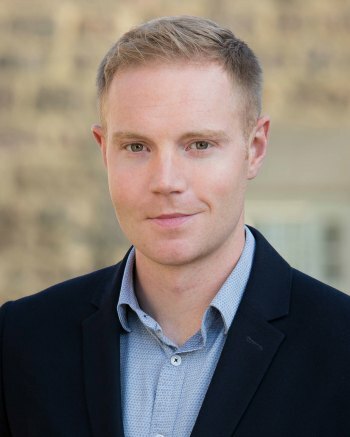 This year, the brilliant team are preparing for their flagship conference, Synergy and incoming President Jonathan Clay is keeping the wheels turning behind the scenes. I caught up with him to find out what his priorities are for his time at the helm. We started with some basics and then got on to the thorny question of Chartership! It was very interesting – here’s the conversation. Jonathan, what does the President of a Chapter actually do? Simply put, you lead the team. I am lucky to have around 150 volunteers giving their spare time to the Chapter. It’s my responsibility to ensure they are empowered in their roles and have the tools to succeed. You have to keep yourself out of the detail and lead the Chapter Board, ensuring all Directors are aligned to a common strategy. Being President of PMI UK requires you to travel a lot. We are a big Chapter with events taking place throughout the UK. I try to attend as many events as possible every year. 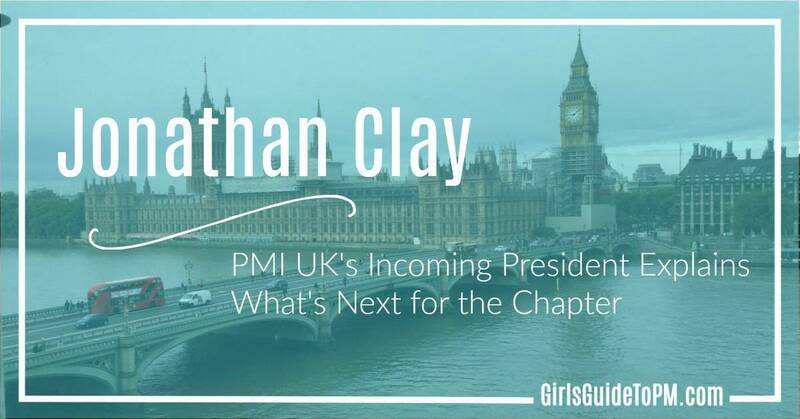 In addition to local work, as President I also need to work closely with PMI Global and other European Chapters to ensure the UK and European needs are understood and met. This requires a few overseas trips a year and regular calls with people across the globe. Sounds busy. Why did you want to take the job on? Why not?! I guess it was a logical next step and it scared me. I’d been on the PMI UK Board for three years and when the opportunity arose I knew I had to apply. This has taken me outside of my comfort zone and given me the chance to learn new skills and experiences. Whatever happens during my two year term, I know I’ll come out of it a better person! What’s new for PMI at the moment? Over the past couple of years we’ve been increasing our number of local events. This year has seen us launch new branches in Manchester and Belfast, giving even more of our members a chance to attend events near to where they live. We have also launched ‘Passporting’. This initiative gives PMI UK members access to all other PMI Chapter events across Europe. This means if you are away on business in a European city and have time, you may well be able to attend an event! Many European events are delivered in English and we have Chapters in all European countries from Turkey to Sweden! I’ve heard about that – it sounds good. I also heard you were keen to get more women involved in Chapter volunteering and participation. Why do you think they don’t participate right now? PMI UK has been around for over 20 years and the profession has changed a lot. During my presidency I am going to ensure the Chapter is optimally structured and organised so it can succeed for another 20 years! This is something I am really passionate about as successful organisations need to have diversity throughout their teams and at all levels. We actually do have a lot of women volunteering for the Chapter. However we have very few in leadership positions. I really want to see more women progress within the Chapter. We are focusing on helping to develop clearer career paths for our volunteers. Hopefully with this we can encourage more women to push themselves and step up into leadership roles. What are your goals for your presidency? I have quite a lot so I’ll pick just three! My first goal is to ensure the organisation is well positioned to succeed for many years to come. PMI UK has been around for over 20 years and the profession has changed a lot. During my presidency I am going to ensure the Chapter is optimally structured and organised so it can succeed for another 20 years! My second goal is to ensure that the Chapter continues to provide value to the profession and membership. I’m planning to do this by strengthening our regional presence, and improving our digital services. And last but not least….my third goal is to empower our volunteers and encourage them to progress within the Chapter. We have some very talented people who if I equip properly, will deliver exceptional services to our members and develop to be our leaders of the future. How much are you involved with the Chartered situation with APM? My focus has been on looking after the interests of PMI credential holders. I’ve been listening to our members in person and led surveys to gauge their views. Working closely with PMI Global teams, I’ve ensured that their views have shaped the PMI response to the consultation. 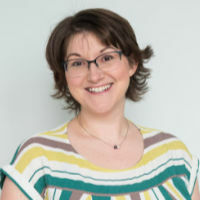 I think the Charter has potential to significantly raise the profile of our profession and I’m looking forward to working more with APM as the Charter standards continue to gain shape. What is your role in Synergy? My role is really the executive sponsor. I’m overseeing our fantastic team who are shaping what promises to be an amazing day. I love Synergy. It is actually the reason I began volunteering five years ago. What are you looking forward to most about it? I think most of all, I’m looking forward to networking with attendees from throughout the UK and soaking up the atmosphere. The way Synergy combines education and entertainment is brilliant, there really isn’t another event like it! If you’ve not got your ticket yet then what are you waiting for?! Get yourself to www.pmisynergy.co.uk. What do you think is the biggest challenge facing project managers today? The pace of change in organisations is ever increasing and projects are required to enable benefits as soon as possible. This presents a big challenge to project managers and we all need to carefully consider what approach is best for our projects. Change is a perennial theme discussed at conferences: here’s my write up of James T. Brown discussing change management on projects at Synergy a few years ago. Any tips on how to deal with it? Try to look for opportunities to deliver early wins in projects by using approaches that allow incremental delivery. Also vitally important is having a strong communication and engagement plan. You need to ensure you are celebrating success and engaging people at the right time in the right way.